A warm-lit theater surrounded with bumbling voices and eerie music. The scene was set for SPC’s Haunted St. Petersburg for a spooky and educational prelude to Halloween. Students and faculty gathered in to listen to Dr. 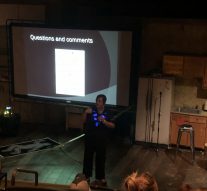 Brandy B. Stark give a presentation on the ins and outs of paranormal investigation and hauntings occurring in Pinellas County. Entering from left stage, it was clear from the start Dr. Stark was a bright and fun individual, adorned with blue ghost lights and colorful purple hair. Beginning the presentation, Dr. Stark gave a humorous and poignant stance on popular entertainment ghost shows. Stark stating paranormal investigation as not a means to instill fear but a mechanism to educate people on the unknown. Unlike ghost hunting shows, Stark states she enters an investigation with a “reciprocal respect” between her and spirits. Stark began the presentation by introducing specific background on her career. Her original team formed with engineers back in the nineties. As promised from the start, Stark next lead into the basic grammatics of paranormal investigation. First, Stark explained an understanding about the liminal states in which spirits can exist. Next, what to look for with the presence of a spirit. Indicators such as change in sensation, temperature spots, movement, strange animal behavior, shadows, and even dreams. Finally, Stark described different apparitions, such as crisis apparitions. Stark further described that locations “can absorb ideas and emotions” made present by crisis apparitions. 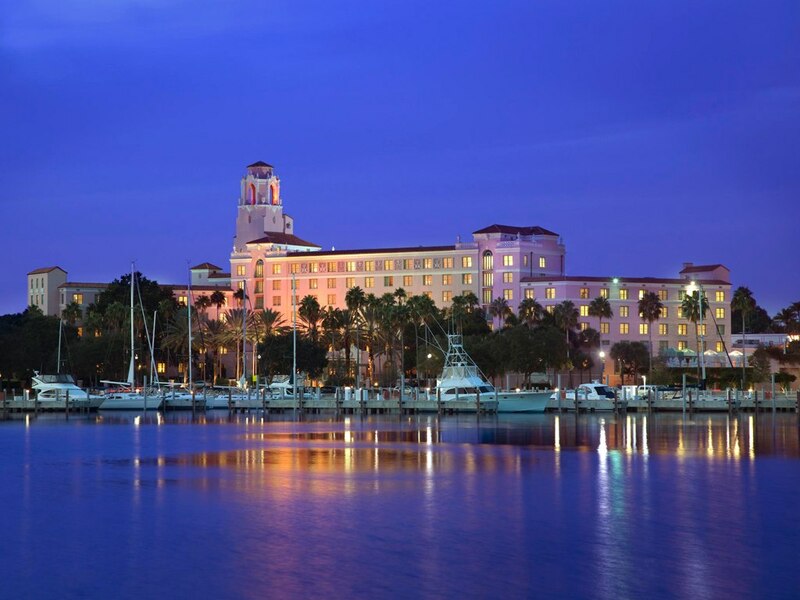 Moving forward from the basics, Stark went through a quick overview of local hauntings real or fake occurring in Pinellas County. From a haunted public restroom to the State Theater, Stark emphasized the urban folktale and true reality of each haunting. A perfect example of fact and fiction is the local folktalk, “The Lady in Mirror Lake”. Stark stating that many individuals see a woman being “taken from the lake.” The grim truth behind the local haunt, is multiple deaths being reported at Mirror Lake. Another haunting occurring within the county is “The Mini Lights of St. Petersburg.” The haunting dubbed with a multitude of different names such as Merry Lights, Minni-lights, and Midget Lights. Saying mini-lights near the bridge summons troll-like creatures. The truth behind the bridge and its so called ‘mini lights,’ dates back to raids in which African American children would be taken from their households. The mini-lights refer to the light of the lanterns approaching the households in the night of the raids. Stark’s first investigation was the John Williams estate at the University of South Florida. Williams being the first governor of St. Petersburg and the founder of the city. Reports of phenomena and sightings of a woman in a party dress surrounded the governor’s former house. Stark’s presentation in general was unexpected and with the audience yearning to hear more of Stark’s words. The hour rushed by and many audience members were left wanting to ask more questions. 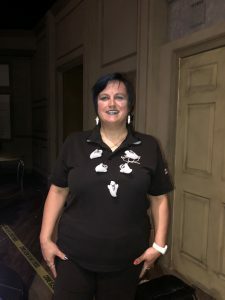 Stark in questioning, further revealed a bubbly and warm personality as she spoke on the topic of her pugs and further on her disdain for paranormal investigation shows. Overall, the presentation was informative, entertaining, and of course spooky just in time for Halloween.